Mr. Clooney! We all know how his career turned out. 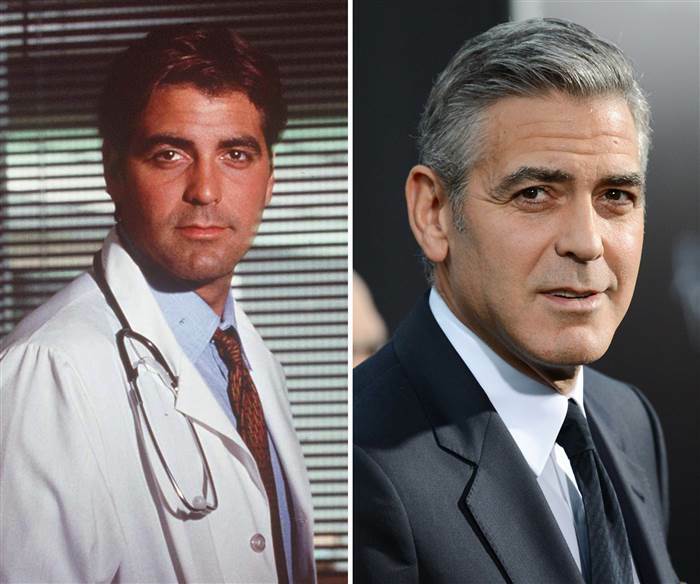 However, before he was the heavyweight actor he is today, Clooney played the role of Dr. Doug Ross on the ER. Dr. Ross was the resident pediatrician, who has a long list of on-screen love interests, but only one serious one with Nurse Carol Hathaway (their love made you all emotional, don’y deny it!). Clooney was on ER from season 1 to season 5. George Clooney has since gone on to act, produce and direct films. He is one of the biggest names in Hollywood and considered one of the sexiest men alive. His most recent projects include, The Monuments Men, Tomorrowland, Gravity, Money Monster, and Ocean’s Eight. 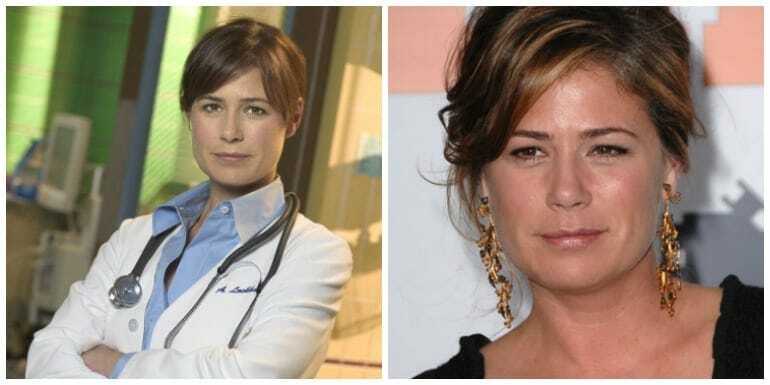 Maura Tierney won the hearts of fans and on-screen doctors alike, as Dr. Abby Lockhart. She entered the show in season 6 and remained on it until the very end of the last season. Her love interest was Dr. Kovac, whom she had a son with. Tierney has since stuck to acting, but not very much of it. Some of her credits after ER include, Nature Calls, The Whole Truth, The Office, The Good Wife, and The Affair. On a personal note, the beautiful actress was diagnosed with breast cancer in 2009, received treatment and is now in remission. 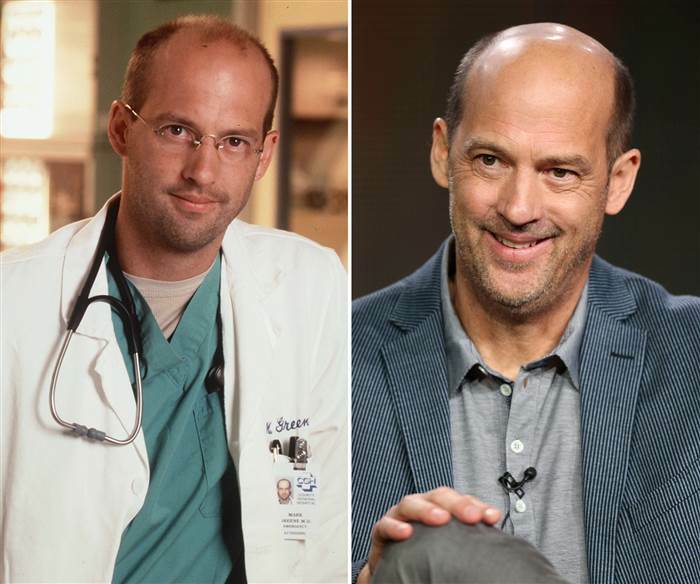 Anthony Edwards played the role of Dr. Mark Greene. Dr. Greene was an emergency room doctor who trained the new medical team that kept walking through the ER doors. Edwards spent 8 seasons on the show, from the pilot episode onwards. He was eventually killed off, but way of brain tumor, making a shift in the shows storyline. 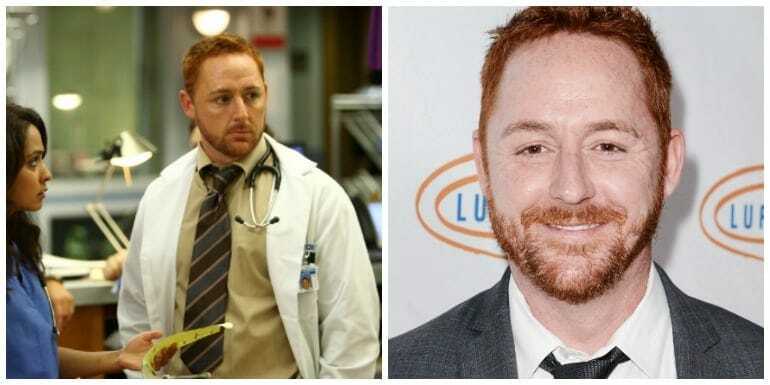 Since his time on ER, Edwards has enjoyed a long film and television career. His credits include films like, The Forgotten, Zodiac, Big Sur, and Experimenter. Most recently, Edwards has been keeping busy with television appearances, such as his reoccurring role in Zero Hour, and cameos in Girls, Blue Bloods, and Law and Order. 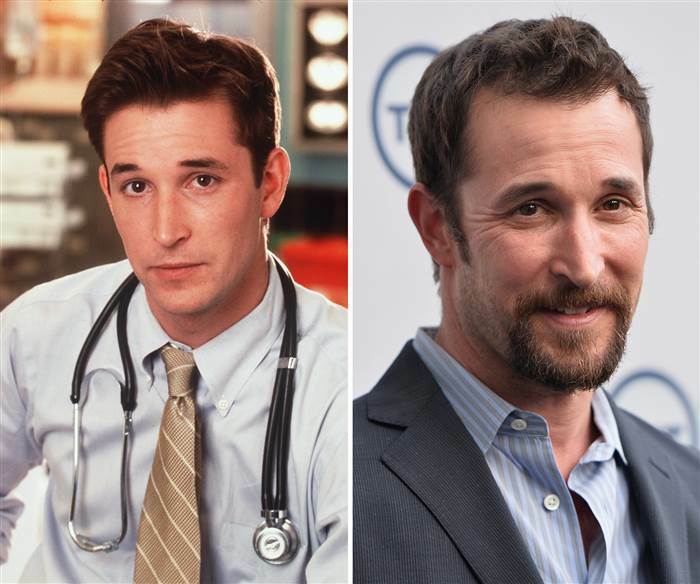 Noah Wyle played our favorite doctor on ER. Wyle played the role of Dr. John Carter, Wyle was on the show from season 1 all the way through season 11, when his character left for Africa in order to marry. Dr. Carter would make guest appearances in season 12 and season 14. Film and television have dominated Noah’s time since ER. His credits include films like, Enough, and The World Made Straight; in addition to television shows like, The Librarian, Falling Skies, and Drunk History. 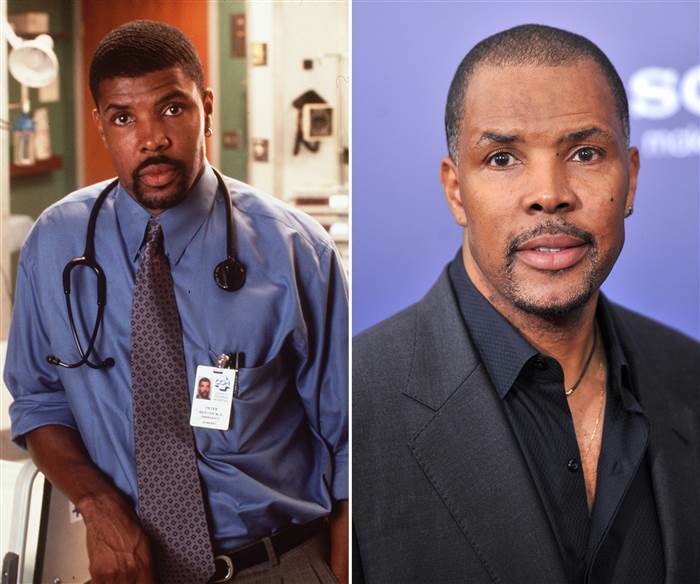 Eriq played the role of Dr. Peter Benton. The doctor was one of the more talented on the hospital staff and had that air about him – he knew how good he was. Dr. Benton would end up leaving the show in season 8, written off as leaving the hospital for another institution and fighting for custody of his son. La Salle did not continue to work very much after ER, at least not in anything major. He did have appearances on shows like, 24, and Covert Affairs. Over the past few years, Eriq has made cameo appearances in the show, Under the Dome, CSI: Cyber, The Night Shift, and Madam Secretary. His most exciting role since ER would also be his most recent, as a farmer in the film, Logan, alongside, Hugh Jackman. Gloria started her time on ER in a guest role – Jeanie Boulet. Her character was very much liked by audiences and was written into the show on a more permanent basis. Boulet was a love interest of Dr. Benton and became a fixture as of season 2. Jeanie Boulet became an official doctor’s assistant at the hospital, with a major plot twist coming in season 3, where she announces that she is HIV positive. She was on the show until season 6. Reuben has pressed on in the acting field, being a part of films like, Lincoln, Admission, and The Longest Ride; and television shows such as, The Blacklist, and Mr. Robot. Goran played the role of the foreign and mysterious, Dr. Luka Kovac. 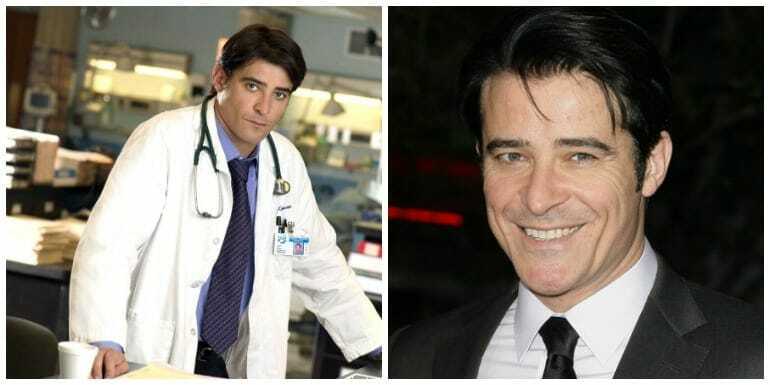 Dr. Kovac was introduced to ER in season 6, as a replacement character for Dr. Ross (George Clooney) who left the show. The interesting part to Dr. Kovac’s character would have to be his PTSD and guilt for having survived the Croatian War, while his wife and children were killed. Goran stayed on ER until the final episode of the show, and his character would find love with Dr. Lockhart. Goran’s film and tv career got better and better after ER. He was a part of productions such as, The Girl with the Dragon Tattoo, The Counselor, Leverage, and Pan Am. 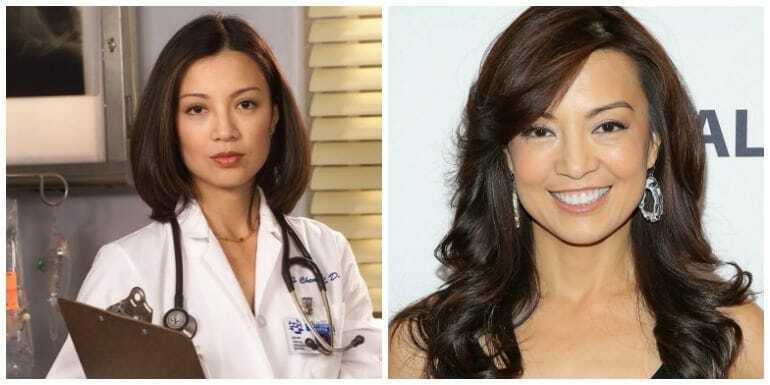 Ming-Na played the character of Dr. Jing-Mei Chen, who starts her time on the show as a medical student in the end of season 1. She then decided to continue her career in the research field and leaves the show. Dr. Chen’s character returns in season 6 until season 11. Ming-Na’s career was pushed to a whole other level thanks to ER, and gave her the opportunity to be a part of shows like, Private Practice, Stargate Universe, Nashville, and Agents of S.H.I.E.L.D. 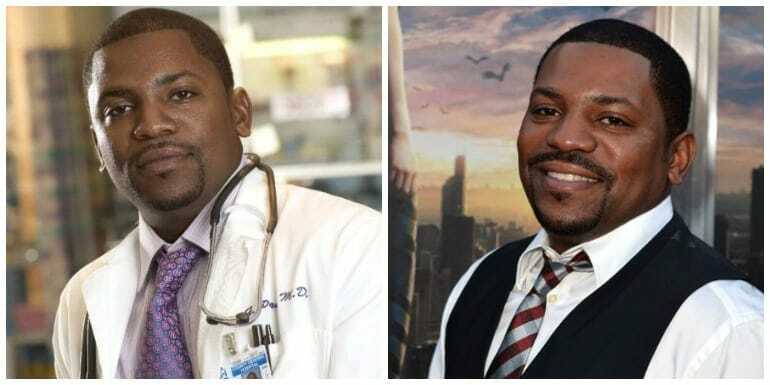 A young Mekhi Phifer played the role of Dr. Greg Pratt. Pratt was a highly intelligent man who was as arrogant as he was smart. Pratt was a character on the show until the last season, where he was killed off in an explosion. His most notable roles include costarring alongside Eminem in the film, 8 Mile, as well as the television show, Lie to Me, and Tourchwood: Miracle Day. Phifer has had personal financial issues, filing for bankruptcy in 2014, owing millions in taxes and legal fees. 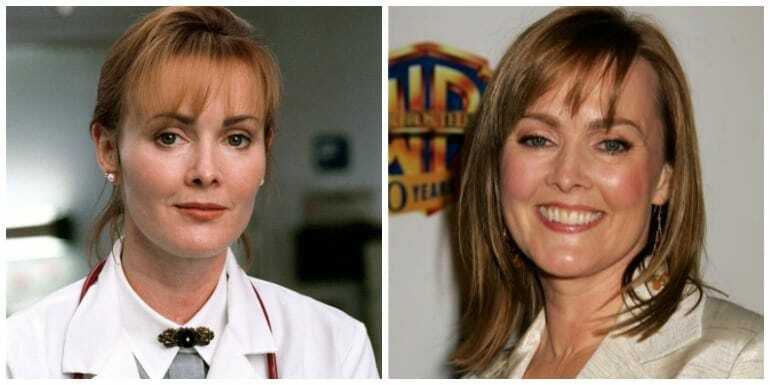 One of the most prominent and powerful characters on the show, Laura Innes played Dr. Kerry Weaver. Her character was introduced in season 2 as the Chief Resident of County General who would become the Chief of Staff. Weaver was a character on the show until season 13. Dr. Weaver’s character would later be revealed as a lesbian (not sure why this was a big deal). Innes went on to appear in televisions shows like The Event, Awake, Warehouse 13, and Colony. Her film credits were for television movies. Parminder Nagra was Dr. Neela Rasgotra! Nagra got her start on ER towards the later years of the show, entering in season 10. Her character stood out a couple of times but over all she was a pretty supporting role. Parminder was also known for her role as Jess in the English hit, Bend It Like Beckham. Nagra went on to appear in films like Ella Enchanted, and Compulsion; as well as tv shows like, Psych, The Blacklist, NCIS, and Agents of S.H.I.E.L.D. 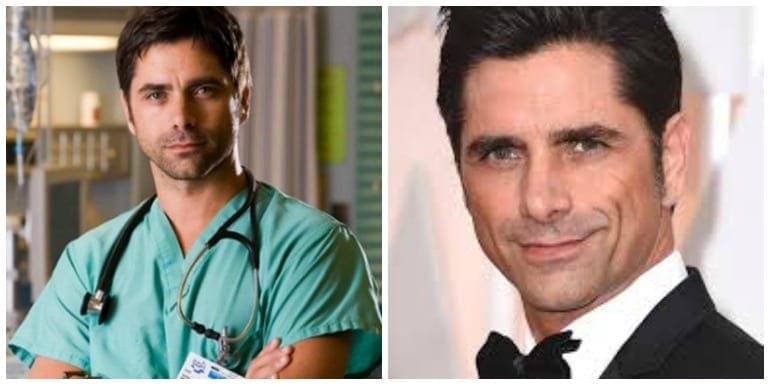 John Stamos was famous quite a bit before his time on ER, nonetheless, he played the role of Dr. Tony Gates, who enters the show on season 12 and had a reoccurring role in season 13. He becomes the love interest for Dr. Rasgotra, but that was also temporary. Stamos’ career after the show is a long list of roles, giving new strength to John’s career. Stamos had his hand in shows like Glee, Fuller House, and Scream Queens; as well as films like, My Big Fat Greek Wedding 2. Linda mastered the role of Nurse Samantha Taggart, who was introduced to viewers in season 10. Her character has a son from a previous relationship, whom we see in the first episode with her. Nurse Taggart is the love interest for Dr. Kovac, as well as Dr. Gates. Her character remained on the show until the very final episode. Linda has since been in major box office hits like, Avengers: Age of Ultron, Welcome to Me, and The Founder. Most recently she is on the television show, Bloodline. The English queen of the show! 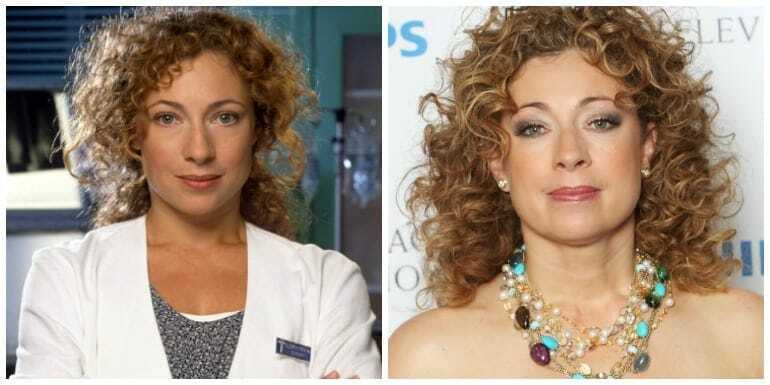 Alex Kingston played the role of Dr. Elizabeth Corday. Corday was a dominant, powerful, highly opinionated English physician. Dr. Corday was on the show until season 11. After ER, Kingston made her name and face surface with roles in films and show like, Without a Trace, CSI, Doctor Who, Private Practice, Arrow, Blue Bloods, and Gilmore Girls: A Year in the Life. Kingston has 7 awards to her name, including, two SAG Awards, TV Land Icon Award, and SFX Award. Scott played the role of Dr. Archie Morris. Dr. Morris entered the show in season 10 and was the first comedic actor to be added to the show. His character was a first of its kind on the show, as it had a very serious tone up until that point. Grimes got even more well known with role in the show, Suits. His other television credits include, Dexter, Family Guy, Criminal Minds, Shameless, and Law and Order. 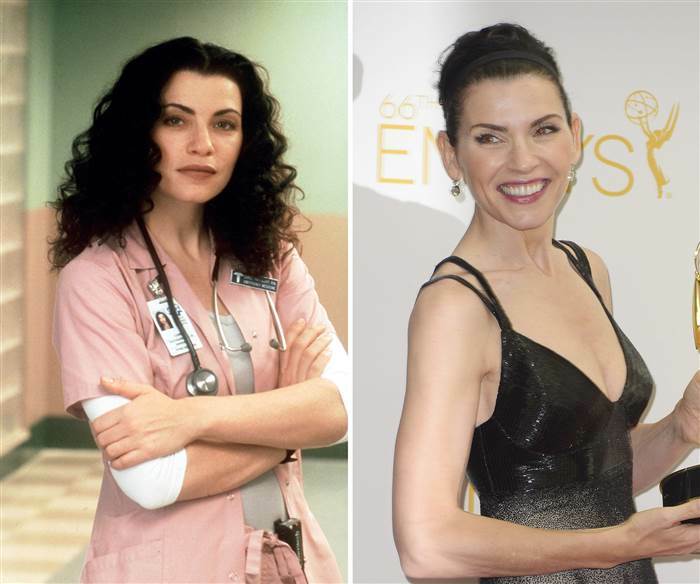 So you remember we mentioned George Clooney’s love interest on the show, Nurse Carol Hathaway? Well here she is! Actress, Juliana Margulies got her name and face really out there with her role on the show. The character of Nurse Hathaway got things done, even if she had to be aggressive about it. The height of her role was when she had Dr.Ross’ twin babies! Anyway, Margulies has since continued acting and made quite a name for herself. Her role as Alicia Florrick in the legal drama, The Good Wife, catapulted her to mega fame. Margulies has won a Golden Globe Award, and two Primetime Emmy Awards. She was also part of the 2015 TIME magazine’s ‘100 Most Influential People in the World’ issue. 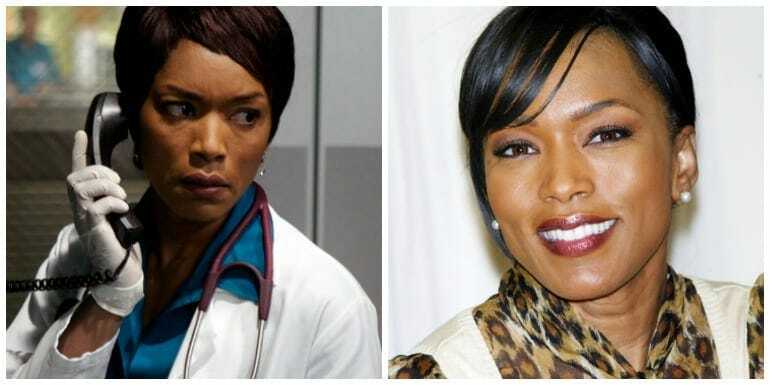 Angela Bassett, legendary at this point, played the role of Dr. Catherine Benfield. Dr. Benfield was only on the show for season 15, the very last one. We don’t truly get to know her character much further than the point where we see how emotionally traumatized she is for her son’s death. Now when we said Angela is legendary, we meant it. The Academy Award nominated and Golden Globe winning actress, has been a part of major acting projects such as, American Horror Story, Betty and Coretta, and Olympus Has Fallen. 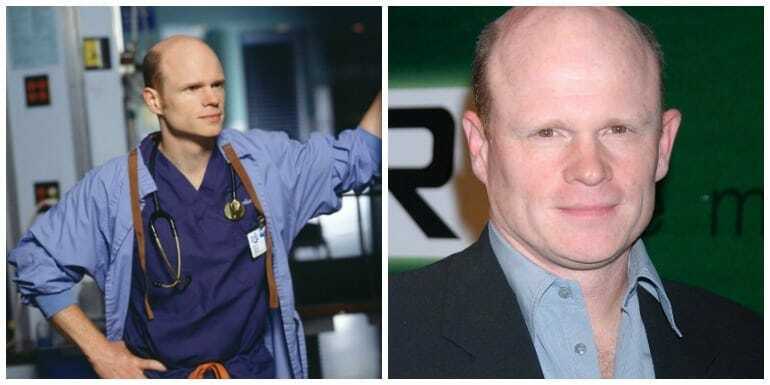 Paul McCrane portrayed the role of Dr. Robert Romano. Dr. Romano is welcomed to the show in season 4, as a tough as nails mentor and emergency room doctor. Dr. Romano remained on the show until season 10, when he is killed off. Paul McCrane went on to work on many other projects that went past the acting, and into the writing and directing aspect. His tv roles after ER included, The Practice, 24, Ugly Betty, Harry’s Law, and Under the Dome. Here we begin with the guest appearances! There is an impressive number of actors who were on ER as cameo appearances. Back in the 10th season of ER, a young Zac Efron came into the emergency room and sadly died on the operating table. Nevertheless, he was on the show! These days, Efron is known to almost everyone, with his roles in films like High School Musical, The Lucky One, Neighbors, Dirty Grandpa, and most recently, the film adaptation of the hit 90s tv show, Baywatch. Another young one who got his acting chops started in the ER. 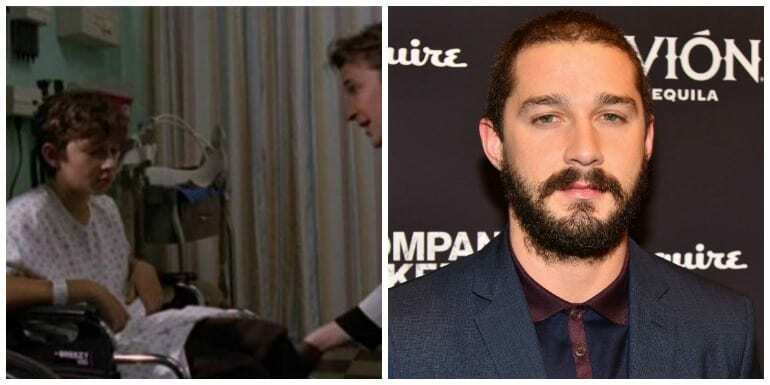 A young Shia LaBeouf, before his Disney Channel start, appeared in the 6th season of ER. Shia played the role of boy who got into a fist fight at school. The twist here was that the character had MS, meaning that Shia’s acting, as we now know, was absolutely amazing. Shia went on to the big screen, starring in films like, Disturbia, Transformers films, Fury, Man Down, and American Honey. 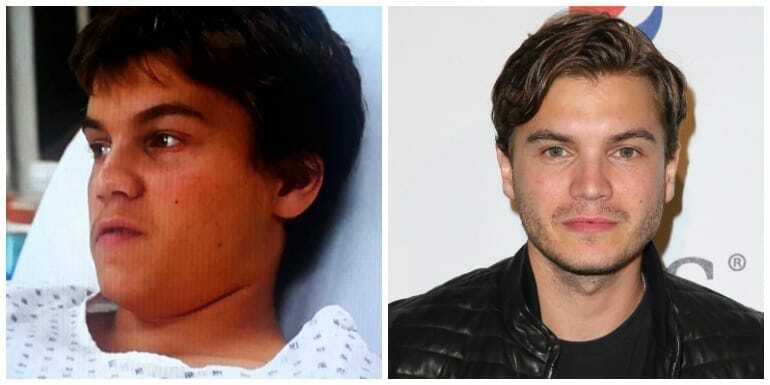 Before his breakout role in Into the Wild, Emile Hirsch was a youth named Chad on the 6th season of ER. Chad was a teenager with an alcohol dependancy. Flashing forward to post-ER, Hirsch got critical acclaim for his role as Chris McCandless in the film, Into the Wild, as well as hit films like, Milk, The Motel Life, Lone Survivor, and All Nighter. Hirsch was named one of the Actors of the Year in the last few years, and recently welcomed a son. 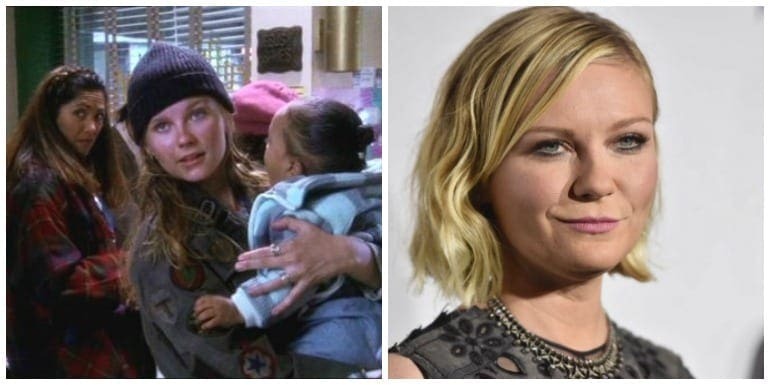 Kirsten Dunst started her career very young, so when she was in three episodes of ER it was more or less even in terms of who was helping who. Dunst played the role of a young homeless girl with a baby who needed surgery. Her storyline never really finishes as she runs away. Dunst has since become a top actress in Hollywood. Roles in films like Bring It On, Spider-Man, Melancholia, Anchorman 2, and Hidden Figures, to name a few, were only part of her fast growing legacy. 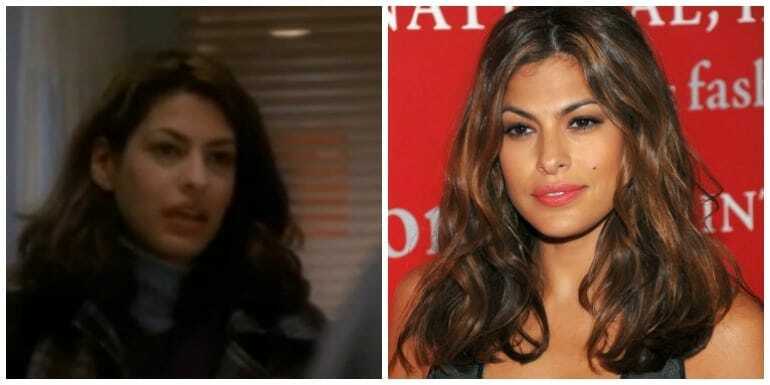 Eva Mendes appeared on one episode of ER as Donna. This was Eva’s first credited role. Her appearance on ER was during the 4th season. Donna was a babysitter who brought the girl she was looking after to the hospital. That was her scene. This tiny role changed Mendes’ life and literally launched her acting career. Since ER, Mendes has done very well for herself. She has been in films like, The Women, Hitch, Ghost Rider, and Lost River. Her personal life has also been talked about as she is engaged to actor, Ryan Gosling and has two children with him. 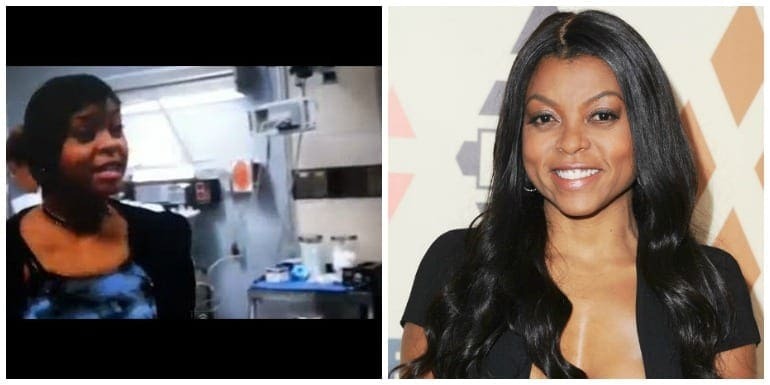 Taraji made a guest appearance on ER in season 4. She portrayed the role of Patrice Robbins, Dr. Benton’s niece. Henson ended up being in two episodes instead of one, as reaction she had the chops for more than one role. Taraji is a very multifaceted actress, who can do both drama and comedy to boot. Her television role as Cookie, in Empire, only goes to show how she can put on the grit if she wanted to. Her most recent role in the Academy Award nominated film, Hidden Figures, got her a lot of acclaim from fans and critics. Julie played the role of an insurance saleswoman on ER. Bowen’s character was in two episodes as she was also dating Dr. Carter for a short time there. Actress, Julie Bowen is now a well-known name thanks to her role as Clare Dunphy on the super successful television show, Modern Family. Bowen also happens to be a very talented voice over actress, and has done voices for shows like Family Guy, Tangled, and Justice League. Gabrielle Union played the role of Tamara Davis in the 10th season of ER. The year was 2000 and Union was about to blow up in Hollywood. After her one episode stint on ER, Gabrielle went on to her breakout role in the film, Bring It On, alongside Kirsten Dunst, as well as Love & Basketball, and City of Angels. These days, Union is married to basketball player, Dwayne Wade, and walking red carpets with as much confidence as someone like her should hold. 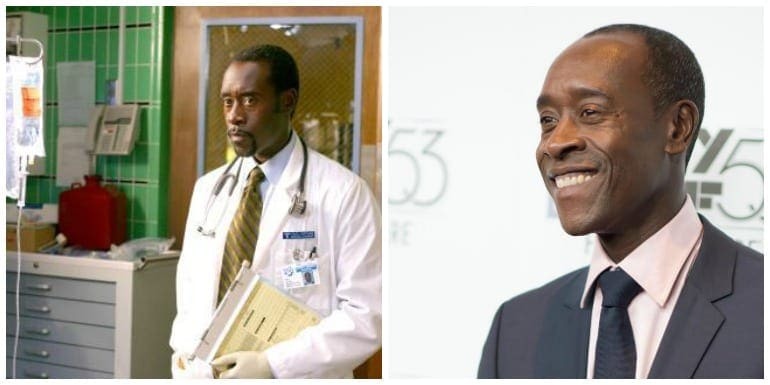 Don Cheadle, considered one of the greats now, was once on four episodes on ER, in season 9 of the show. Cheadle played the role of Paul Nathan, a medical student with Parkinson’s Disease. His character would have a rough time of things in the ER, as would be expected with symptoms of the disease. Cheadle has since been in films like Mean Girls (remember the principle? ), Hotel Rwanda, Ocean’s Thirteen, Iron Man, Avengers, and Captain America. 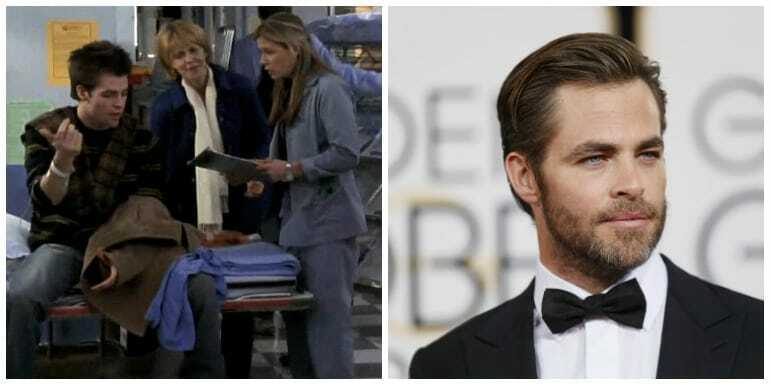 Actor Chris Pine spent one episode on ER. His character, Levine, was a drunk youth who spent three days drinking thanks to Valentine’s Day. This was Pine’s first acting role! Since ER he has developed quite an impressive list of credits and notoriety. His film credits include, Star Trek, This Means War, Horrible Bosses 2, Into the Woods, Wonder Woman, and A Wrinkle in Time. He is beloved by women everywhere and considered a VERY attractive man in Hollywood. 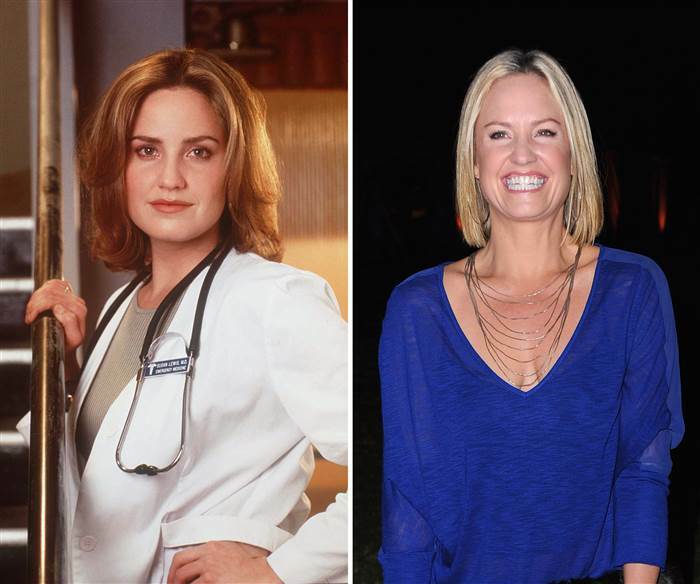 Sherry Stringfield graced the small screen of ER as Dr. Susan Lewis. She was on the show from season 1 to 3, after which she left and returned in season 8, only to leave again in season 12, this time for good. Stringfield was nominated for three Emma Awards for her role as Dr. Lewis. Since ER, Stringfield has been in film and television, most notably – Third Watch, Law and Order, Curb Your Enthusiasm, CSI, Under the Dome, and Criminal Minds. Most of her roles were indeed in television and she has not made quite the name for herself as some of her other ER costars.